The midsize Hyundai Sonata has been around since 1985, and the latest eighth generation is definitely the most exciting of the bunch. However, it looks like Hyundai will add even more heat to the four-door with a new N Line edition next year, as revealed during the 2020 Sonata’s debut at the New York Auto Show. 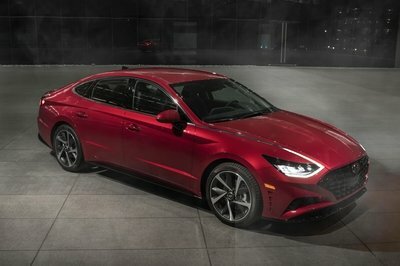 As one of the most essential Hyundai sedans, the new 2020 Hyundai Sonata debut marks a pivotal moment for the Hyundai brand. With a revolutionary and bold design, new technology on board, and all-new architecture under the metal, some would even say that the Sonata reaches for the premium segment. While completely redesigned, and now inspired by the gorgeous Le Fil Rouge concept, the Sonata features a few bold styling novelties we have never seen before. More importantly, Hyundai stretched its wheelbase and length a little bit, while lowering the car as a whole. This is the trick everyone takes into account when making a clean, planted car. As a final touch, Hyundai reworked the interior to offer significantly more upscale ambiance and equipment. 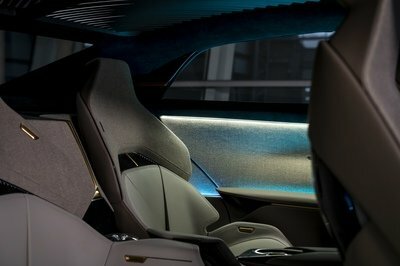 Stunning Nio ET Preview Concept Would Be A Win For The U.S. Starting its operations in 2014, Chinese car company Nio already reached the spotlight of the car industry. At the2019 Shanghai Auto Show, it revealed the elegant sedan-coupe called the ET Preview Concept, but you may have heard about it after the Nio EP9 set a Nurburgring lap record for electric cars. While the Nio only sells one electric SUV in China (more than 10,000 of them are on the roads), the ET Preview Concept is a rather surprising proposition for the future. In Shanghai, almost everyone revealed some sort of electric SUV, but Nio went with a fastback sedan. 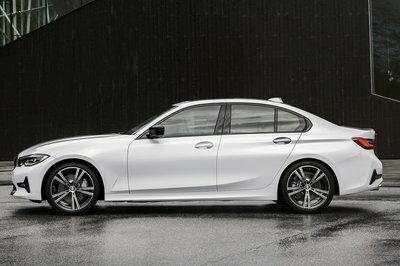 It is the one to compete with the likes of the Tesla Model S and the new Polestar 2. I will go on a limb here and say that it looks better than any one of them. The Kia Stinger GT has really been impressing reviewers and buyers alike ever since it was launched with its blend of bold styling, great quality and, last but not least, a rewarding, sporty driving experience. 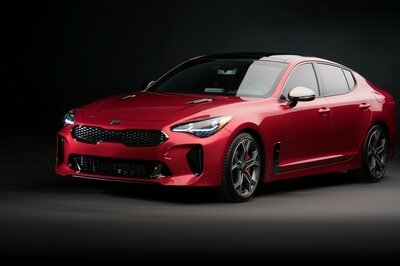 Now Kia intends to make the latter even better as it’s just introduced a more exclusive Stinger GTS at the 2019 New York Auto Show. 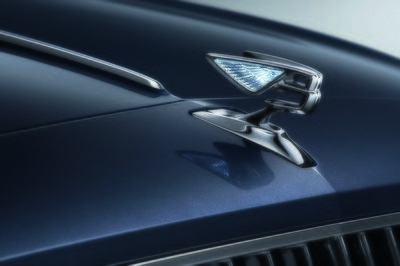 Infiniti is known for building some of the most awe-inspiring concepts you’ll ever see. It’s nice to see, then, that Infiniti’s form is holding up nicely, as we can see from the Qs Inspiration Concept that’s currently on display at Auto Shanghai 2019. 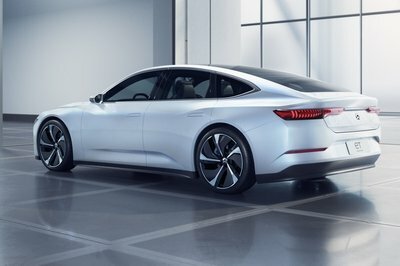 Developed as a sports sedan that showcases Infiniti’s push towards electrification, the Qs Inspiration Concept is a sign that Infiniti’s not just talking the talk when it comes to its electrification plans, it’s provided us with a physical example of what we can look forward to in the future. More importantly, the Qs Inspiration won’t stay a concept for long; Infiniti has plans to build a production model in China, for the Chinese market. It’s all part of the automaker’s goal to offer a diverse lineup of electrified models in the world’s biggest car market. The Qs Inspiration Concept is the first step in achieving that goal. Cadillac has finally shared details on its all-new CT5, the model with which it will replace both the ATS and CTS and also take the fight to the German premium automakers like never before. The CT5 is aimed at the likes of BMW’s 3-Series or Audi’s A4 sedans, even though it looks more like a big hatchback and is actually larger than all its direct rivals. 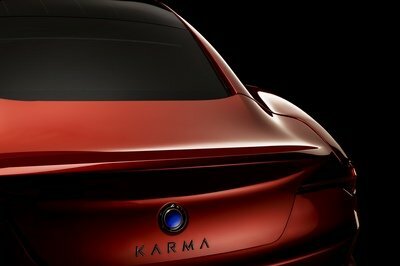 The Karma nameplate has a rather checkered past, first appearing on an ill-fated hybrid GT sedan from Fisker Automotive in the late 2000s. After Fisker Automotive went bankrupt in 2013, the China-based Wanxiang Group Corporation purchased the assets, renamed the company Karma Automotive, and set about fixing the vehicle’s many lingering issues. Now, five years later at Auto Shanghai, Karma Automotive is ready to reveal the fruits of its labor with three new models that springboard off the original Karma’s impressive design. We saw this coming. Nissan unveiled the fourth-generation Sylphy, a model that will most likely arrive Stateside under the Sentra name, at the 2019 Shanghai Auto Show. The new car features a wider look, a more aggressive fascia, a host of Nissan Intelligent Mobility technologies but nothing new in the engine department although the existing mills will be bonded to a new Xtronic transmission. The Nissan Sylphy is a car that we’ve come to know and appreciate in the U.S. since it was introduced in 2013 as the Nissan Sentra. In China, two other generations preceded it while the Sentra name itself is one with a certain history as it’s been going for some seven generations already. The previous Sentra, known as the B16, which was introduced at the 2006 North American International Auto Show was 2.3 inches shorter and 150 pounds heavier than the current model and was underpinned by Nissan’s C platform while the current Sylphy/Sentra is based on the Nissan V platform. While we’ll have to wait a little while before the Sylphy changes its badges to Sentra and arrives Stateside, but you can expect it to look largely like the copper-colored car you see here, maybe with a few tweaks around the front end. Aston Martin has finally revealed the Rapide E at the 2019 Shanghai auto show after teasing it for months. 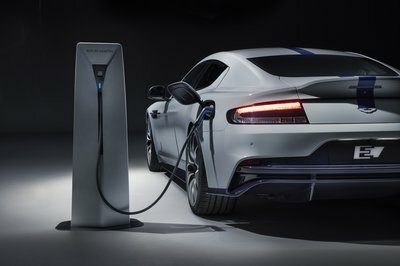 It’s the all-electric version of the four-door Rapide that comes with fast charging, over 200 miles range on a single charge, and performance to match (and even surpass) what the V12-powered Rapide can muster. Manufacturers have adapted to the specific needs of the Chinese automotive market, and one of the prime adaptations has to do with providing long-wheelbase versions of sedans they already sell elsewhere. 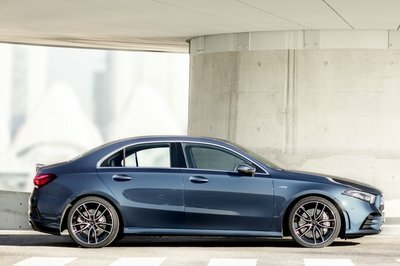 Now, that may not seem especially ridiculous if you think about a C- or E-Class Mercedes, for instance, but an extended wheelbase version of the compact Mercedes-AMG A35 sedan? That’s certainly more unusual. The Audi S7 is a high-performance answer to the Mercedes CLS and the BMW 6 Series Gran Coupe. 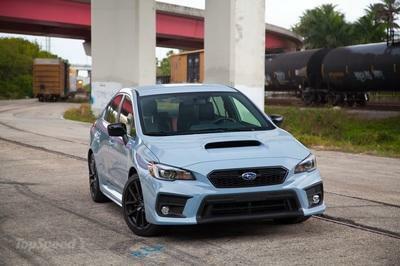 It’s been on the market since 2012 (as a 2013 model), and 2019 marked its shift into the second generation. And, this shift couldn’t have come at a better time because that old-school grille and boring front end just wasn’t working anymore. 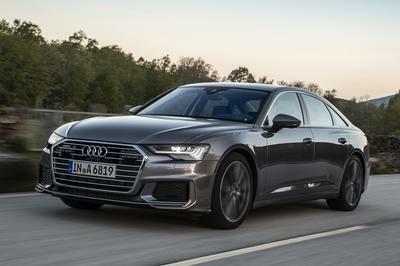 But, Audi delivered everything we wanted on a silver platter, with the S7 taking on Audi’s latest design language – including the wider, shorter grille and a rather aggressive front fascia. 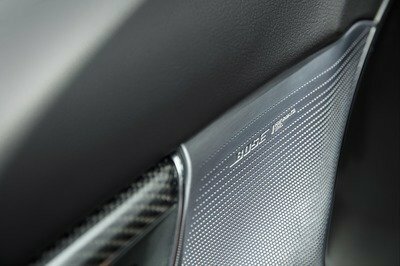 To make matters even better, Audi was smart enough to keep the designed toned down enough that the new S7 doesn’t get thrown into the same “we’re-trying-too-hard” category with cars like the Honda Civic Type R, for instance. Now, we’re still not sure about Audi dropping that 4.0-liter V-8 engine to replace it with a 2.9-liter V-6 in the U.S. or a 3.0-liter V-6 diesel for Europe, but we haven’t driven the new S7 yet, so we can’t really speak too deeply on the matter. That point aside, we really like the way the 2020 S7 looks, so we’ve decided to make it our wallpaper of the day. We’ve posted our favorite here but, if you want other choices, check out the gallery at the bottom of the page. We guarantee that you’ll find something you like too. Nissan just dropped details on the brand-new 2020 Versa subcompact sedan, and so far, so good. 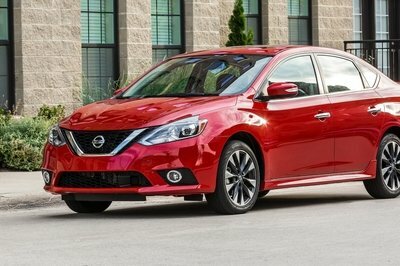 Outside, the new Versa looks much improved thanks some sleek body panels that work well with Nissan’s latest signature styling features, including the V-motion grille and boomerang-shaped headlights. 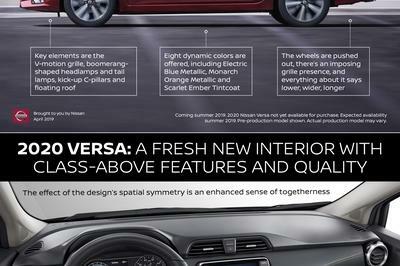 The dimensions also play a part here, as the new Versa is lower, longer, and wider than the outgoing model. Inside, the cabin takes after Nissan’s larger sedans, including the Altima and Maxima, and emphasize the horizontal for an added sense of space. The cabin is also stuffed with safety stuff, including standard features like Lane Departure Warning, High Beam Assist, Rear Automatic Braking, and frontal Automatic Emergency Braking with Pedestrian Detection. You can also opt into features like Rear Cross Traffic Alert, Intelligent Cruise Control, Intelligent Driver Alertness, and Blind Spot Warning. Apple CarPlay and Android Auto headline the infotainment bits, while automatic climate control and heated front seats keep it comfy. 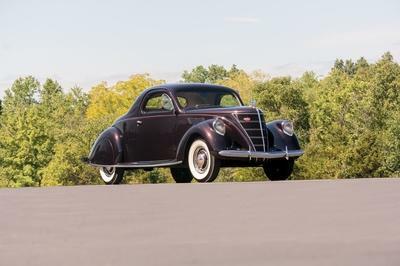 Motivation is derived from a 1.6-liter four-cylinder, which sends 122 horsepower and 114 pound-feet of torque to the front wheels. Transmission options include either a five-speed manual as standard, or an optional CVT. The 2020 Nissan Versa will go on sale this summer, or you can catch it next week at the 2019 New York Auto Show. No word on pricing just yet, but it should be quite reasonable considering the current model comes with an MSRP of $12,360. Let’s be honest here; the Tesla Model 3’s interior isn’t exactly rich and well defined. It is sparsely equipped with one massive screen that hosts virtual buttons for all functions. 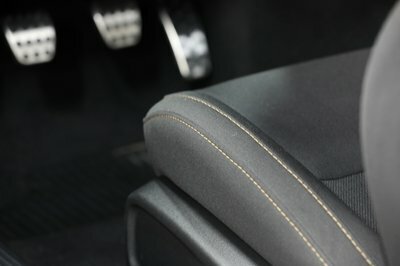 In higher grade trims, Tesla did manage to offer nice upholstery on the seats and more expensive materials on the doors. 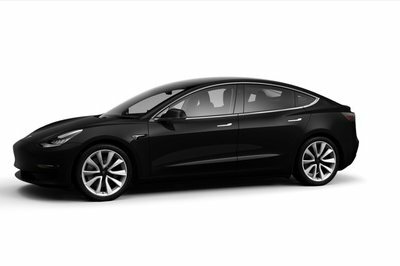 It does give a bit of style and pizzazz to the Tesla Model 3, but nowhere near enough to match the lavish of the Lexus IS, 3 Series, or, the Mercedes-Benz C-class. The problem is that even the most expensive Model 3’s interior cannot hold a candle to the interiors of even less expensive cars. And now, we have a stripped-down Model 3. What could Tesla possibly delete from the Model 3 to lower its price to $35,000? Well, here’s a list of everything you don’t get with the entry-level Tesla Model 3. 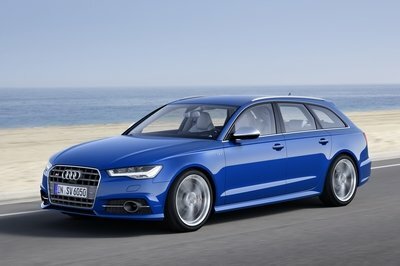 Audi isn’t giving up on performance diesel engines just yet, at least not for Europe. Audi just revealed the all-new 2020 S6 (available as either a sedan or wagon) and S7, and they come with different power plants depending on where they’re sold. 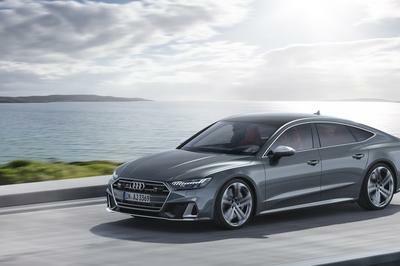 For Europe, Audi has elected to offer the S6 and S7 a V-6 TDI engine, while in North America, Asia, and other markets, these models will be sold exclusively with a gasoline-powered V-6 TFSI.